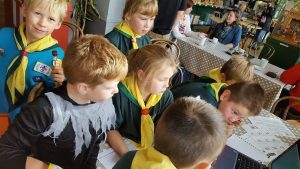 It was fantastic to see so many beavers, cubs, scouts, explorers and leaders from across the area taking part in this year JOTA/JOTI (just short of 100 people). 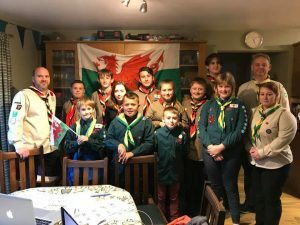 Machynlleth, Newtown, Four Crosses, and Abermule took up the challenge of communicating with other scouts from around the world. 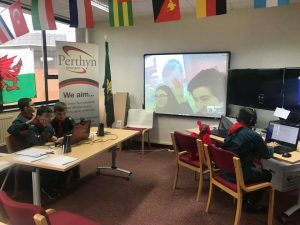 After a few technical setbacks, many were on their way to skyping, and messaging other scout groups to discover what their scout groups name was, their country, and JID code, plus other interesting facts like their necker colour, hobbies and even who their scout mascots were. 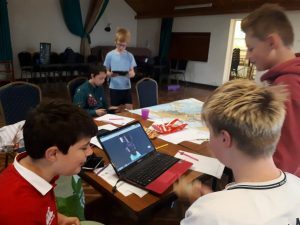 JOTA/JOTI is an amazing experience for all young people to learn more about other scouts around the world and test and use their own personal knowledge, language skills, their geography and scouting knowledge to build confidence and self-esteem. 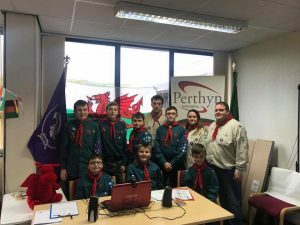 Well done to all the leaders for taking on the challenge and here’s to building on this year’s success next time. 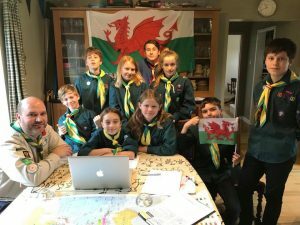 Next year’s JOTA/JOTI dates are 19-21st October 2018.